Ouzo drinking is an art. Or maybe it's a way of life. 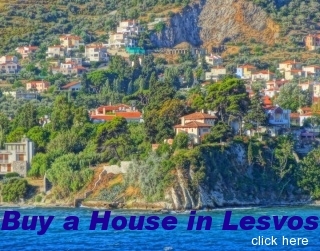 Whatever it is, the island of Lesvos is known for it's ouzo. Most cafe owners in Greece will admit that the best ouzo comes from Lesvos, also known as Mytilini, and they probably carry one of the more popular commercial brands like Mini or Plomari. But it's not the ouzo, it's who you drink it with that really makes the experience. 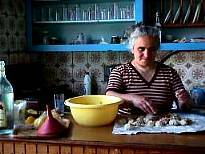 When I am in Lesvos I spend a lot of time drinking ouzo, talking and eating with my friends. So much so, that when it is time to return to America I have to seriously consider becoming a member of AA. But usually my desire for ouzo ends when I get on the plane back to America and the two or three bottles I bring back with me every trip begin to add up so there is room for nothing else in my liquor cabinet and then I have to start drinking ouzo again. Its an endless cycle that I don't recommend for amatuers, but with a little knowlege and self-restraint you too can become a connoisseur of ouzo, as odd as that may seem. 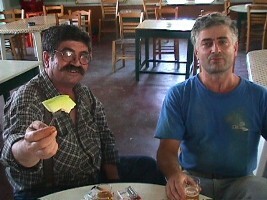 The key to drinking ouzo is to eat snacks known as mezedes. These keep the effects of the alcohol from overwhelming you and enable you to sit and drink slowly for hours in a profoundly calm state of mind where all is beautiful and life is fine. 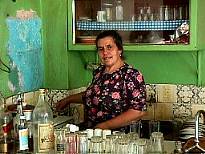 In the villages where life is slow ouzo is partaken day or night. On Sundays after church the cafeneons are full of lively voices and singing, including sometimes the village priest. In many cafeneons the cooking is done by men, but in some it is a woman who does the cooking and serving and acts as den mother to the old men who come around each day. She knows their likes and dislikes, favorite seats and personal history. 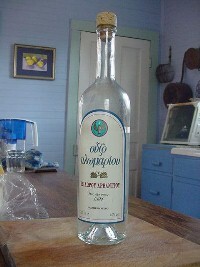 Ouzo Giannatsi from Plomari: Distilled in an old-fashioned wood burning kasani (still). Two varieties, one of 42% and the other 45% alcohol. Hard to find outside of Plomari. Dimino comes in funny shaped bottles but is distilled and pure. Ouzo Mini: Mild and smooth with an alcohol content of 40%. Ouzo Veto: 42%. Stronger. Andrea likes this kind. Ouzo Kefi: The ouzo of choice in my local cafeneon though who knows if it is really Kefi or some other ouzo bought in bulk and poured into Kefi bottles? 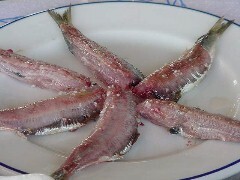 Barbayannis: The most famous of the Plomari Ouzo. Some say it's the best. I say it's the strongest at 46% but there is a green bottle that is only 42%. Plomari by Arvanitis. 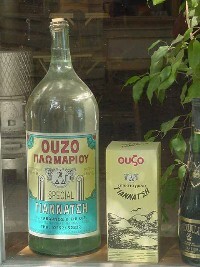 It is the only ouzo with a cork and is now the most popular in Greece. Then there are many other smaller companies like Kronos, Mattis, Samara, Pitsiladi all of which are excellent. Ouzo Babatzim from Serres near Thessaloniki is pure and distilled and I drink this almost nightly in Athens at Cafe Evi in Psiri. Then there are the commerical ouzos made for tourists and Greek-Americans who don't know good ouzo from sambucca and are generally too sweet or in some cases just plain undrinkable. I don't want to name them because they are big corporations with an image to preserve and employ a multitude of lawyers to help them preserve it but if you stick with the ouzos I mention above you should be OK. In the cafeneons ouzo is served with a meze included, for about a dollar a glass. The mezedes	can be anything from a salad, stewed meat and vegetables, sardeles pastes, koukia (fava beans), sweetbreads, meatballs, cheese, sausage, fried fish or whatever the specialty of that cafeneon is that day. Eat and drink slowly and enjoy the journey. The cafe owners are always good cooks and in many places it is almost like a competition who has the best mezedes. Don't be macho. Drink ouzo with water. When you pour it in the ouzo will turn a milky white. How much to pour in is a matter of taste. A good trick is to water it down as you drink it. In other words you keep adding water. You won't get as drunk this way and because you will be drinking as much water as ouzo (or more) you won't be dehydrated or hungover (maybe). If you should be lucky enough to meet someone who makes his own ouzo watch out. 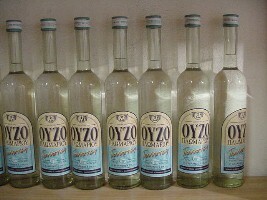 Though they call it ouzo it is really raki or tsipuro and does not have that licorice flavor one associates with ouzo. It is made in homemade stills and goes down smooth but it's effects are rapid and powerful. But one glass won't hurt and two is even better. Ouzo Plomari of Isidorou Arvanitou is the ouzo with the cork in it. Strangely enough I could not find it in the cafeneons the first time I went to Plomari. The story I was told is that the owner of Ouzo 12 was bought out by the giant Seagrams company. he took his money and bought the small Arvanitis distillary in Plomari and changed the recipe and made it a kinder-gentler ouzo so people like me would like it and they could hopefully market it all over Greece and maybe in America too. But in Plomari they still like they original recipe so there are actually two versions. The bottle in Plomari is completely different and it does not have a cork and it is stronger. I went to the factory to check out the authenticity of this story and unfortunately it was closed. 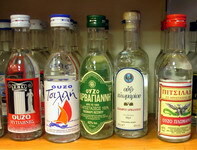 Since then they have used their marketing expertise to make the ouzo with the cork one of the most popular in Greece. You can even get it at duty-free in the airport. The attractiveness of the bottles has made them very popular in restaurants which use them for oil and vinagear on the tables. To make the story even more interesting Ouzo 12 sales plummeted after the purchase and he was able to buy back the company with all the money he made from Ouzo Plomari. 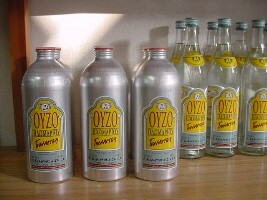 Then he changed the bottle and did a similar marketing campaign and now he has two of the three most popular ouzos in Greece. (The third is Mini). 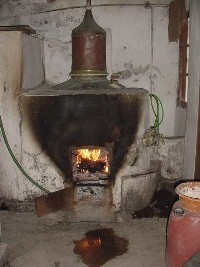 Most of the ouzos on Lesvos are not distilled. In other words they just buy the ingredients	and assemble them in the shops and then bottle it and sell. Some of the more popular brands are assembled rather then distilled. In Plomari the Ouzo Giannatsi which is owned by Greek-Australian George Kabarnos and his son, is distilled in the old fashioned way and is one of the best tasting ouzos I have tried. 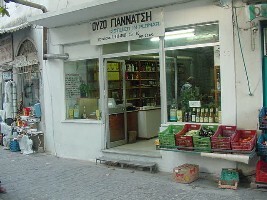 Because they are a small company and not able to pay the large sums of money required to get your product placed in supermarkets, their ouzo can be found only in his shop in Plomari and in some small cafeneons and restaurants in the area. According to Mr. Kabarnos real traditional distilled ouzo has no side effects (besides drunkeness) and will not cause a hangover because there is no sugar added and the other ingredients which give each ouzo its distinct flavor, is cooked rather then just added to the mixture. To test this claim I brought a bottle of Giannatsi to my friend Michalis, the owner of the cafeneon in the upper village of Vatousa and asked him to try it. He was quite impressed and then pointed to the bottle where the word Apostegmena was written. "You see this Mathios? This is why this ouzo is so good. It is distilled." I can almost remember my first ouzo 'experience'. I was a sophomore in high school attending	the American school in Athens. My friends and I were at a neighborhood cafeneon, loosening up for the big dance by drinking Ouzo 12, a popular Athenian brand. Though we had all sampled ouzo before this was the first time we had come to a cafeneon with the intent of using it as our primary source of entertainment, (not counting the dance itself.) At 7:30 I knew I had enough and began walking the quarter of a mile to the school gym. I arrived there just as the buses were taking the kids home at 11:30. What happened to those four hours I will probably never know though I have always suspected that I was picked up by aliens and experimented upon before having some kind of chip implanted in me that made me unable to take school very seriously and rendered me useless for any kind of job besides being a musician and giving unsolicited advice about Greece. The purpose of this and what the aliens have in store for me I can only guess at. My big plan this summer was to fill a carton with as many different 200 ml bottles I could find on the island. 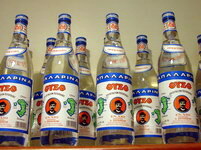 What I discovered is that there are a lot of brands of ouzo that I had never seen or heard of before. 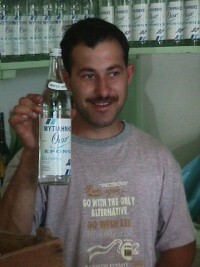 Even the small town of Skalahori, with a population of about 500 people has its own ouzo. One of the best of these small brands I discovered on a visit to the village of Agia Paraskevis. The ouzo there is called Kronos and though the owner of the company (a shop really), seemed a little suspicious of my interest in ouzo, he warmed up enough to give me a bottle which I took home to my village. It turned out to be Andrea's favorite ouzo and I liked it too. I asked Nick, an Australian who owns the mini-mart why Kronos ouzo is not available all over the island and he said that Mr. Kronos needs to work on the public relations division of his company. As far as I could tell the only people who work for the company at all are Mr. Kronos and a very nice young guy who though a little slow was happy to make the most of the opportunity to promote the company by posing for some pictures with the ouzo. Trying to describe the taste of ouzo or to say why I prefer one to another is hard. Not that each ouzo does not have it's own taste and subtle differences. There just are not enough ouzo connoisseurs communicating with each other to put together a lexicon of descriptive words for ouzo. I could borrow from the wine experts terms like fruity, and tasty but they don't work for ouzo. I could move up to the words used to describe the finest whiskeys and scotch, but ouzo does not have the same mystique or pedigree. It hasn't been aged for 12 years in oaken casks or had people waiting in anticipation of this years batch. It's pretty much cooked or mixed together, bottled and shipped out. If one has a favorite ouzo it is probably not because they prefer one grape to another (who says they all use grapes anyway?). It is usually because they like the flavor that the ingredients added to the alcohol give it, they like the higher or lower percent of alcohol, or they like the color of the bottle or the advertisements for it. 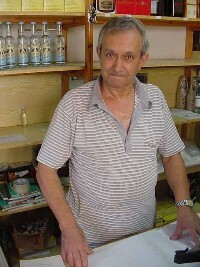 As Thanasis the Australian of Xidera, says of the old men who visit his cafe, each one an expert on ouzo with his own personal preference "I buy in bulk whatever is cheapest and put it in whatever bottle I have. If I buy Veto and all I have is an Empty bottle of Kefi I put it in a bottle of Kefi and nobody has ever said to me "Hey. This is not Kefi!" in all the years I have been working." I have to face the fact that while in Lesvos, ouzo is my life. I am not ashamed, nor do I consider myself an alcoholic (who does?). I spend the day doing various activities like writing, reading, swimming, visiting places, until the sun goes down when I walk down to the cafeneons and order my first ouzo and meze. I know that I may drink two glasses or I may drink ten, but in the course of those ten glasses I am going to have interesting conversations, meet a stranger or two, be bought an ouzo, practice my Greek, watch my wife and child head home to bed, and end up talking to the cafe owner about something I know from living in America that he is curious about. I may have the opportunity to explain what the internet is in terms he can understand (that's a fun one), or why it's not necessary to throw a strike on an 0 and two count. look around at the "manges"
It's the lines from an old Rembetika song by Mitsakis that I interpreted as being about hashish, but Uncle Mitso had his own meaning, the key obviously resting on the translation of the word loulas. Unlike the commercial ouzo, his came from his own grapes. Even after he could no longer drink he continued to make his own ouzo to share with friends and family and unsuspecting visitors. Not many people outside of Lesvos realize that their grapes were wiped out by a blight several hundred years ago and have not been grown except in private gardens, until the last few years. 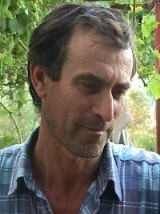 It is only in the last two years that wine from Lesvos has been introduced thanks to a grafting technique that has made a variety of blight resistant grapes. In the past the island was famous for its wine because the soil and climate are perfect for it and perhaps now we are witnessing the dawn of the new age Lesvos wines. Most of the wine served in Lesvos is the commercial variety from the mainland and Santorini, or excellent local xima wine from Lemnos. Occasionally on a Sunday I will drive over to Xidera, the most remote village in Lesvos, where my wife is from, and visit with my friends who live there. 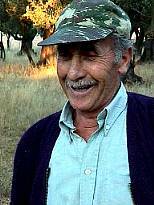 Most of them are old men though there are a few my age like Thanasis the Australian. He owns the cafeneon directly across the small street from Andrea's aunt Aglaia who is the finest one burner cook in all of Lesvos and makes grand feasts for us to be washed down with ouzo. Her husband Panayotis (riding the donkey on the front page of this guide) is the village butcher so one of the staple mezes are the fried organs of whatever he has killed recently, usually a sheep or goat. I think it's the staple. Maybe she only serves them to me to get rid of them or because I told her I liked them when she served them to me once many years ago. 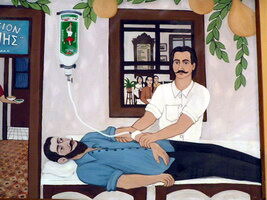 Regardless, whenever I sit down with Uncle Panayotis and he offers me an ouzo, I know there is a spleen not far behind. Thanasis is my primary source of village information. His wife also makes great mezedes and I can't set foot in the place without somebody buying me an ouzo and offering me a small meal with it. Normally I try to control myself and save my ouzo drinking for evening, but more often then not, a visit to Xidera is an excuse for an afternoon of letting go of the rules I have made up for myself and is always rewarding in some way. I either have some major breakthrough in communication with one of the old villagers or I am filled with such peace of mind that I realize a few more weeks on the island and I will be beyond treatment but who cares? If you want to visit a town where ouzo has much to do with the pace of life, (there are 9 cafeneons for 350 people, half of whom are women who don't go to the cafeneons), then visit Xidera. 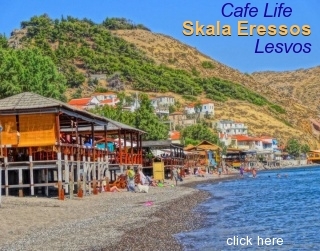 My first day in Lesvos a couple years ago was a Sunday which is a popular day in the cafeneons and spontaneous explosions of kefi are not uncommon. What I mean by kefi is a feeling that comes over one that can only be expressed by dancing, singing or radiating(sitting there and glowing with happiness which is what I do). I was with my daughter recovering from the drive and the carrying of luggage to our house at the top of the village where no car dares to go for fear that it may never return. We were sitting in a corner of Tryphons while in the other corner sat a group of young and old men who would burst into song when one of the tunes being played struck a chord within them. The finest singer of them all was a young carpenter and stone mason named Panayotis who every so often when he was really filled with kefi would leap to his feet to dance. Not for us, not for his friends or anyone else in the cafeneon (which was empty except for us), but for himself. He was lost in the music, the moment and the movement. He was expressing himself to himself and we were blessed to be witnesses. It was really very spiritual, like watching lovers, or a holy man talking to God and realizing that God is indeed listening. You can find all the Lesvos ouzos at the Lesvos Shop on Athinas Street in Athens right next to the Hotel Attalos. You can also find most brands of Lesvos Ouzo as well as ouzo from the rest of Greece at Angelo the Ouzo King's Ouzo and Traditional Gifts Shop in the Plaka on Adrianou Street. Don't wait to get to the airport to do your ouzo shopping because your choices will be limited. 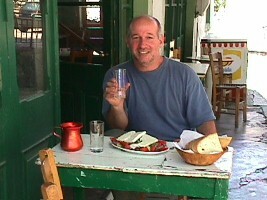 For ouzeries in Athens see my Athens Restaurant Guide. You can't get most of the ouzos I recommend in the US. Even in Astoria, New York, a neighborhood full of Greeks we could only find Barnayiannis Blue, Arvanitis and the usual commerical stuff cranked out by the big ouzo exporters for a clientele that they think can't tell the difference between ouzo and licorice flavored rubbing alcohol. So if you love the information on my website and you want to send me a gift buy a bottle of Babatzim, Dimino, Pitsalidi, Barbayiannis (green) or Gianatsi and send it to me at 102 Old Pittsboro Rd, Carrboro, NC 27510 USA. If I get enough maybe I will open an ouzeri!